Last year, we taught you how to staple a booklet using a booklet stapler. 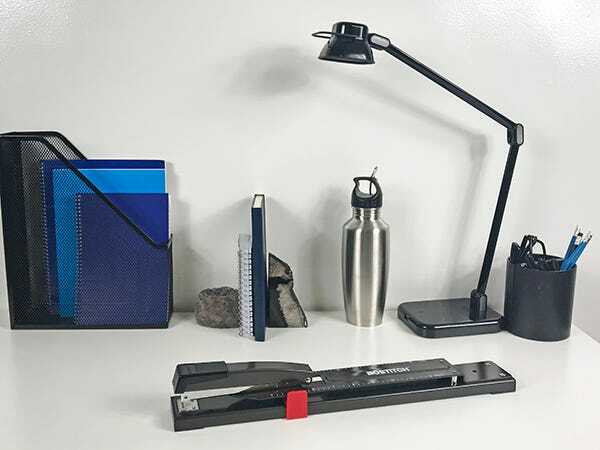 Today, we’re here to show you how to use a long reach stapler to do the same thing! 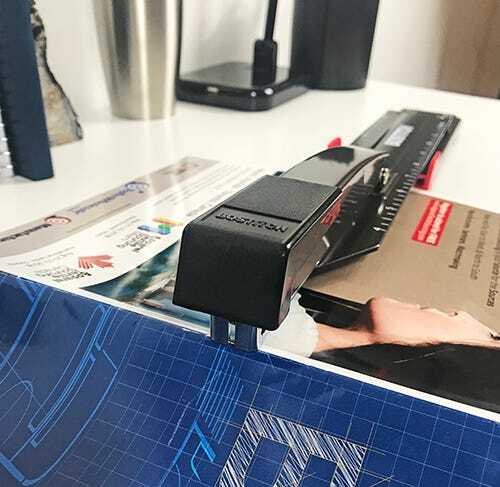 While our long reach stapler is similar to our classic V-line booklet stapler and offers many of the same perks such as a jam-free design, it’s more compact in size and is customizable to fit your documents exactly. Staple booklets, pamphlets and brochures in a flash. No more Googling hacks about how to staple a spine of a document. Let’s get started! 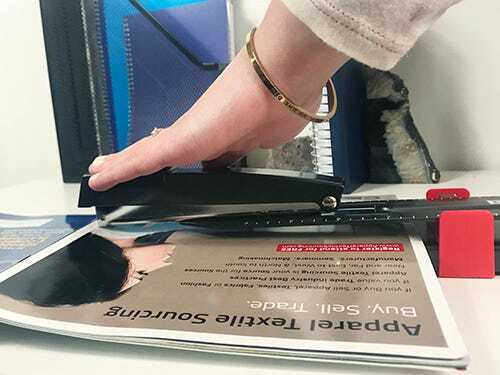 First, flip your freshly printed document so the front and back cover is facing up and place it under the stapler head. 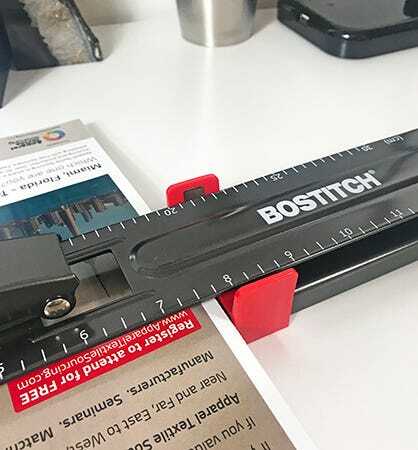 Use the integrated ruler and adjustable paper stop on the stapler to align your project so the middle/spine of the booklet is directly under the stapler head. Psst: This stapler features a 12-inch throat depth for documents up to 24 inches wide! For exact measurements, measure your paper’s width and divide by two. As you can see, we stopped out paper stop at 8 inches. Once everything is set in place, push down on the stapler until you hear two clicks, ensuring your staple is fully attached. Repeat this along the spine of the booklet. Most need at least three staples in total. 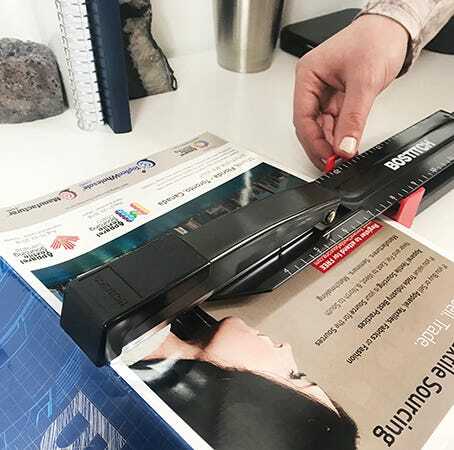 With learning about our two beloved specialty staplers, you should be a pro at creating booklets and brochures. What other staplers should be do tutorials for? Let us know on our Twitter! The spring is miidinfg from my bostitvh long reach stapler B440LR. Where can i purchase a replacement spring?